The continuous updating and the exchange of information are some of the objectives of CTC Seminars. Monthly held since 2001, the Seminars have counted on national and international lecturers that present research outcomes aiming at the improvement of professionals of the medical and biological areas. “House of Science: Scientists in Development”, by Profa. Dra. Marisa Ramos Barbieri (09/11/2018). “Investigation of new therapeutic strategies in myeloproliferative neoplasias”, by Profa. Dra. Fabíola Traina (21/09/2018). “Integrative analysis of RNA binding protein targets and function”, by Prof. Dr. Markus Hafner (14/09/2018). 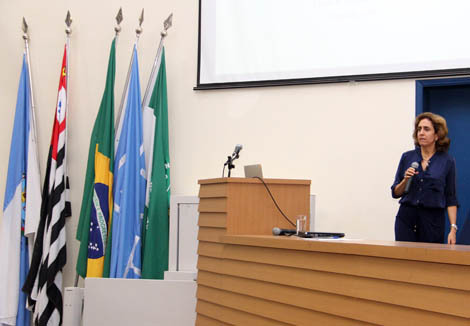 “Results of the Laboratory of Molecular Genetics and Bioinformatics – 2013 to 2018”, by Prof. Dr. Wilson Araújo da Silva Jr. (31/08/2018). “Mechanisms of treatment resistance as targets for experimental combination therapy in melanomas”, by Prof. Dr. Roger Chammas (27/07/2018). “Applications and Results of CTC Proteomics Studies”, by Prof. Dr. Vitor Marcel Faça (25/06/2018). 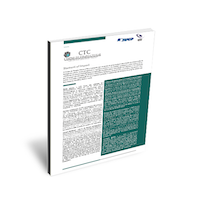 “Key results achieved in the last five years of the CTC”, by Dr. Rodrigo Alexandre Panepucci (23/02/2018). “DNA repair genes: functions in maintaining tumor cell genomic stability and cancer progression”, by Profa. Dra. Valeria Valente (27/10/2017). “Cell Therapy in Diabetes Melito: Where are we?”, by Profa. Dra. Maria Carolina Rodrigues and Dr. Carlos Eduardo Couri (25/09/2017). “BMT-driven Cell Therapy (CAR-T cells, cytotoxic T cells for virus, NK cells, Tregs)”, by Dra. Simrit Parmar (21/08/2017). “Stem cell research in Brazil: current scenario and perspectives”, by Profa. Dra. Lygia Pereira da Veiga (09/08/2017). “The origins of cell biology at the Rockefeller Institute (1945-1965)”, by Prof. Dr. Lewis Joel Greene (14/10/2016). “Biology of telomeres and their dysfunction in human disease”, by Prof. Dr. Rodrigo T. Calado (13/09/2016). “Genomic analysis in the pursuit of tumor progression and metastasis biomarkers”, by Prof. Dr. Wilson Araújo da Silva Jr. (07/12/2015). “Lymphoproliferative disorders large granular lymphocytes”, by Prof. Dr. Roberto Passeto Falcão (22/10/2015). 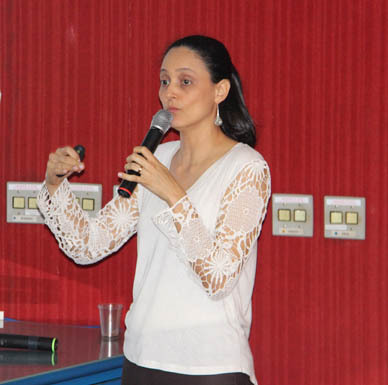 “Capturing the Brazilian genetic diversity in hiPSCs – a tool for clinical trials in vitro”, by Prof. Dr. Lygia da Veiga Pereira (11/08/2015). “Totipotency niche and epigenetic effects”, by Prof. Dr. Flávio Vieira Meirelles (09/06/2015). “Microenvironment and tumor progression. The role of tumor associated macrophages”, by Prof. Dr. Eduardo Magalhães Rego (15/05/2015).